The commuters of the the Inner West, West and South Western Sydney suburbs request the restoration of the Inner West Line for all stations between Homebush and Liverpool. The restoration of the Inner West Line with services to pre-October 20, 2013 levels such as a direct train from Liverpool (and Bankstown) via Regents Park/Lidcombe to the City Circle. 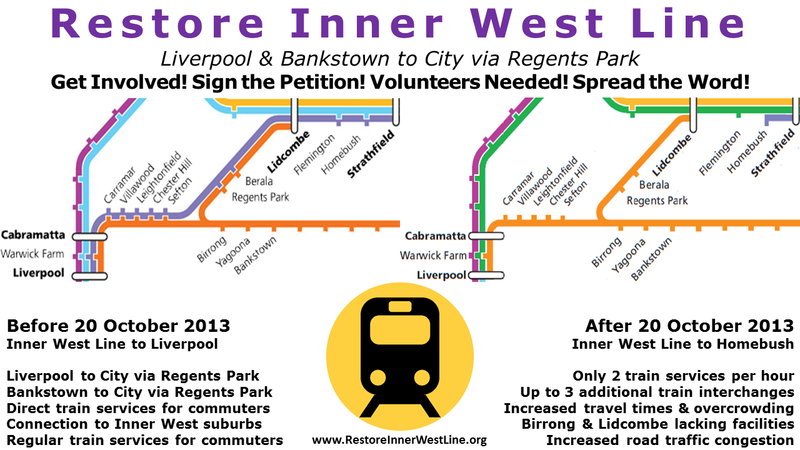 Please support the Restore Inner West Line campaign by signing and sharing this petition.